I was browsing Amber MacArthur's website and thought I'd pass this link off to you. It's a 60 second version of the 90 minute Keynote from MacWorld 2007. I submitted my first iPhoto "Book" for printing at Apple last week. If it looks OK, I plan to give it to someone special and print a second copy. iPhoto also allows you to make a PDF of your creation, that can be shared with everyone. Hmmm.. I'm starting to sound like an Apple commercial. 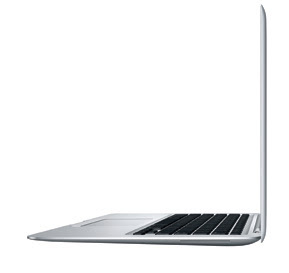 I was impressed with the MacBook Air's size and capability after reviewing a video of Steve Jobs Macworld address. The Time Capsule was cool as were the iPhone improvements. Gotta get a MacBook Air! Actually, I'm thinking of helping to start a new user group called IMP, short for iPhone, Mac and PC. Interested people would have a Mac that drives an iPhone and runs PC software. There is a lot that can be shared and learned. This is getting complicated! I resolve in 2008, to start updating this BLOG. I'm starting to use a Mac-Mini, with hopes it can be my main computing machine. The problem is, I have some software that only exists for the PC. So I installed VMWare Fusion with XP Pro and upgraded memory to 2gb. I upgraded to Leopard and was very impressed with the Time Machine.